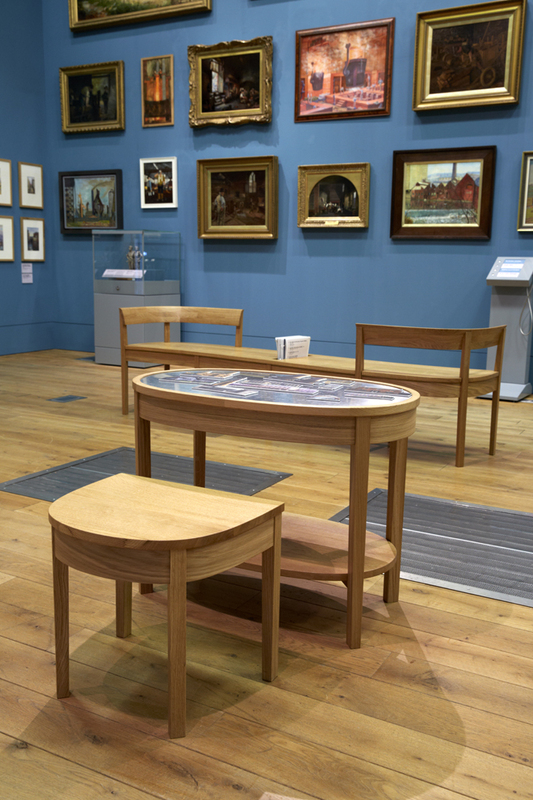 I recently completed a suite of display furniture to complement the benches I made for Weston Park Gallery in Sheffield. Here are a couple of the pieces as part of ‘Picturing Sheffield’, the museums new permanent exhibition. Posted November 12th, 2016 in Blog, News.